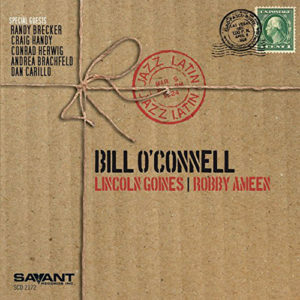 This album Jazz Latin by Bill O’Connell is – as always – like an elegant railway system linking the myriad elements of Jazz, with those of Latin and Brasilian music. And yet to describe it as such gives the impression of overcooking when the whole project, like all of Mr. O’Connell’s, is a masterpiece of subtlety that flows with a lyricism and spontaneity that has been the singular trademark of the pianist in his masterful playing from the earliest days as a solo artist. 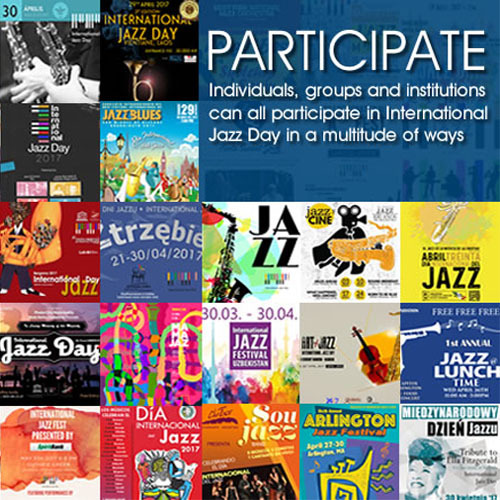 The considerable degree of balance and integration of melody, harmony and rhythm, of composition and improvisation, of exploration, individuality and tradition is impressively maintained throughout. So seamless are all of the elements that Bill O’Connell comes across as a kind of fountainhead from which ideas spout forth and simply melt into music in all its beauty. The opener, “Obama Samba” is a joyous, dancing piece which engages you with its rippling Brasilian groove that builds vivaciously under Mr. O’Connell’s magic fingers. It is followed by “Just One of Those Things” – one of several classic standards that are interspersed between Mr. O’Connell’s originals, one of the most lyrical and profoundly beautiful being “Goodbye My Friend” which is dedicated, we are told in the pianist’s booklet notes, to the drummer Kim Plainfield, arguably one of the most influential drummers and educators in the New York area and possibly in all of the US, who died just this April, 2018. The “Second Line” rhythm in the second part of the tune makes for a fine Jazz funeral feel just as Randy Brecker’s forlorn trumpet part opens the song with funerary sadness. Mr. O’Connell’s take on the lineage of cool, spacey melodic lines sees him summoning radiant tones from the piano, which float benignly over the hot licks of Lincoln Goines’ bass guitar and the rapid-fire of Robby Ameen’s drums. Meanwhile guests such as Mr. Brecker, tenor saxophonist, Craig Handy trombonist Conrad Herwig, flutist Andrea Brachfeld and guitarist, Dan Carillo offer not entirely predictable harmonic foundations to the music which they grace throughout the album. The surprises, when they come, are effective but discreet: a Monkish hop and skip to “Tip Toes”, a gamelan-like riff played as pizzicato harmonics by Mr. Carillo on “Mom’s Song”, a delicate curlicue of a bass line that underpins what sounds like a winged gesture on “What’s This”. Meanwhile throughout the record ensemble passages seem to develop from single phrases subtly suggested by each of the musicians in the core trio. The recorded sound balances detail and warmth in this impressive set led by an incomparable pianist who deserves to be much wider known in music. Track list – 1: Obama Samba; 2: Just One of Those Things; 3: It’s OK; 4: Footprints; 5: Goodbye My Friend; 6: Quicksand; 7: Tip Toes; 8: Puttin’ on the Ritz; 9: Mom’s Song; 10: Zingaro; 11: What is This?